Coach Murphy’s favorite thing about the team this year is that the squad is willing to work hard and have fun at the same time. She credits the leaders of the team for their work ethic and business-like attitude. Hannah Murphy and Olivia Elie. photo by Emily Marquis. 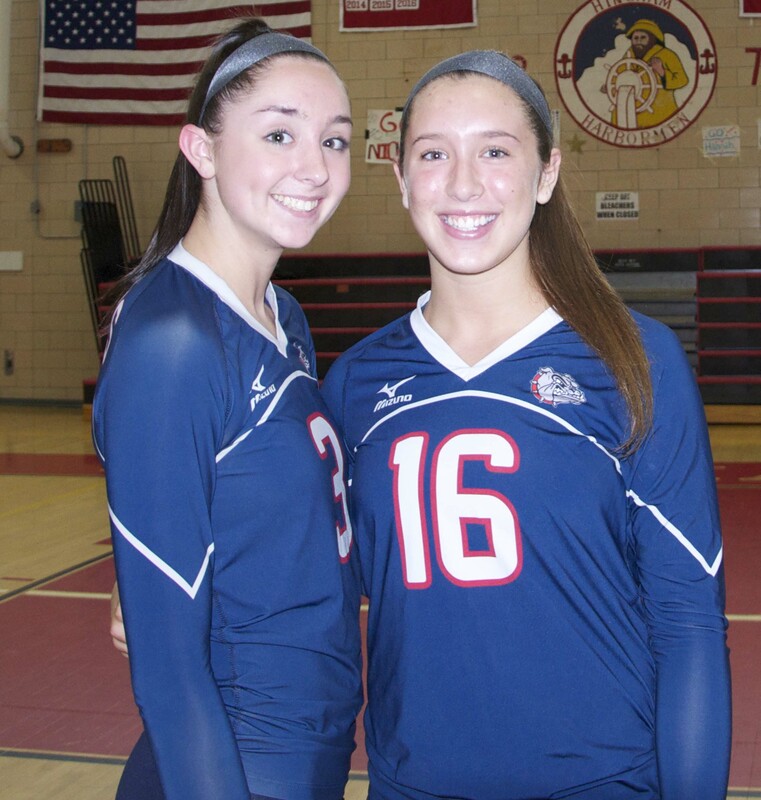 On October 16, the volleyball team clinched an undefeated South Shore League Championship with a win over Norwell. The team has had several exciting, down to the wire matches this year. Freshman player Althea Olsen is excited to be on the team this year, mostly because she loves her teammates. It is Olsen’s first year as a school volleyball player and she is very excited to play. Olsen likes the sport a lot because there is “a lot of momentum and energy on the team,” and that’s what she likes for a team. Congratulations to the team on their league championship and good luck to the team in the postseason tournament!